The online streaming platform is reportedly looking for a showrunner for the series and is said to expand on the franchise’s mythology. Netflix to reportedly adapt the Resident Evil series. The new series is said to expand on the franchise’s mythology. The online streaming platform is said to be looking for a showrunner for the series. Netflix will reportedly make a new scripted series on the well-known action-horror franchise, Resident Evil. 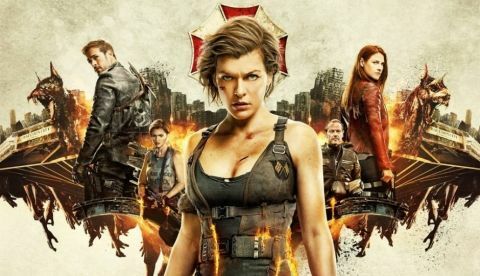 The series is said to be a global original by the online streaming platform and the studio behind it could be the German production and distribution company Constantin Film, which has also worked on the Resident Evil movies that were somewhat linked to the video game series by Capcom. As per Deadline, the search is underway for a showrunner to lead the adaptation and apparently, there are plans for the upcoming series to go deeper into the Resident Evil’s mythology. “I hear the series will keep the basic premise, which also served as a setup for the movie franchise. The drama series will explore the dark inner workings of the Umbrella Corporation and the new world order caused by the outbreak of the T-virus. While the project is in early stages, the series is expected to incorporate all of Resident Evil’s signature elements, including action sequences and ‘easter eggs,’” says Nellie Andreeva from Deadline. The film franchise of the popular video game Resident Evil was launched back in 2002 and there were a total of six movies set in the universe: Resident Evil, Resident Evil: Apocalypse, Resident Evil: Extinction, Resident Evil: Afterlife, Resident Evil: Retribution, and Resident Evil: The Final Chapter. If the news of Netflix working on a video game/movie adaptation turns out to be true, it won’t be surprising. The online streaming platform has already made a great animated series based on the famous action-platformer video game Castlevania and has already started working on the adaptation of The Witcher with Henry Cavill cast as the lead, Geralt of Rivia. Speaking of Netflix’s adaptation of The Witcher, there is no time frame for when the series might come out but it is expected to be an eight-episode-long first season. Alongside Henry Cavill as Geralt of Rivia, Freya Allan is playing the role of Ciri, Anya Chalotra of Yennefer, Jodhi May as Queen Calanthe, and Bjorn Hlynur Haraldsson as Eist.